I use an Expodisc to set a custom white balance. For those who are not familiar with the Expodisc, it's a product that you place on the front of your lens to take a shot to set a custom white balance. 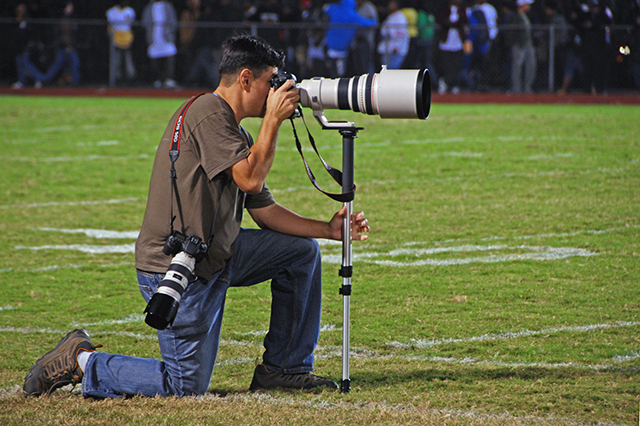 I have one that fits over most of my lenses....except for my 400mm, for obvious reasons. So a work around would be to take a target shot with the Expodisc with one camera and place that memory card in the other camera and use it to set the custom white balance. I know I could easily sync the white balance in Lightroom or Camera RAW but I like to see accurate color while I'm chimping (reviewing my shots). Thanks to Russ Isabella for giving me this tip.